She said during the meet with Khan which was "good and constructive" they discussed recent "economic developments and prospects for Pakistan in the context of ongoing discussions toward an IMF-supported program". Khan made a point in an address to repeatedly hit on the need for economic reforms as International Monetary Fund chief Christine Lagarde looked on from the audience. The Pakistani Prime Minister's latest attempts to play with minority sentiment in India will be rejected by the people of India, he asserted. "I also highlighted that decisive policies and a strong package of economic reforms would enable Pakistan to restore the resilience of its economy and lay the foundations for stronger and more inclusive growth". Strongly reacting to Khan's remarks, MEA spokesperson Raveesh Kumar pointed out the status of minorities in India as compared to those in Pakistan. "Reforms are painful but it is essential if we have to get out of our current problems", Khan told the summit and said his government was making efforts to cut down the fiscal and current account deficit. 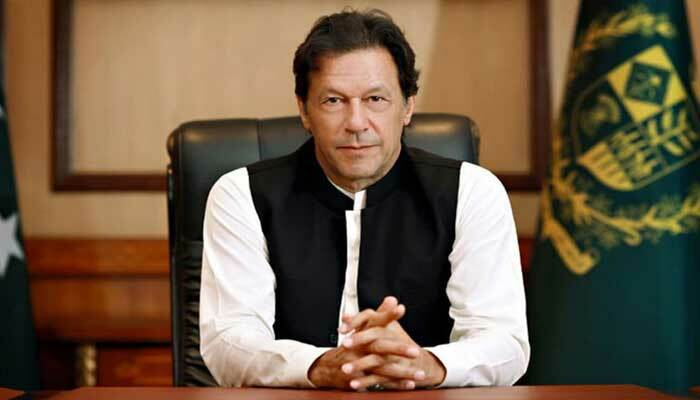 The minorities in Pakistan are often turned away from government bodies such as the Economic Advisory Council of the Prime Minister, even in "naya Pakistan", the spokesperson said in an apparent reference to the removal of a minority Ahmadi Muslim from a recently set up economic council under Khan's government. In a speech at the summit on Sunday, Khan said the government faced a massive fiscal deficit when it took office past year and was making efforts to cut it, though global investors were already showing confidence.